The most beautiful thing on Earth might fight a tough fight, but it will eventually get trumped by the most beautiful things our universe has to offer. NASA recently released an image of the comet ISON, and in true space-photo fashion, it would look spectacular on my wall, maybe done up so that it looks super groovy under a black light. Somebody turn on some Iron Butterfly. Captured by the Hubble Space Telescope on April 30, the image is the result of filtering and a change in focus. 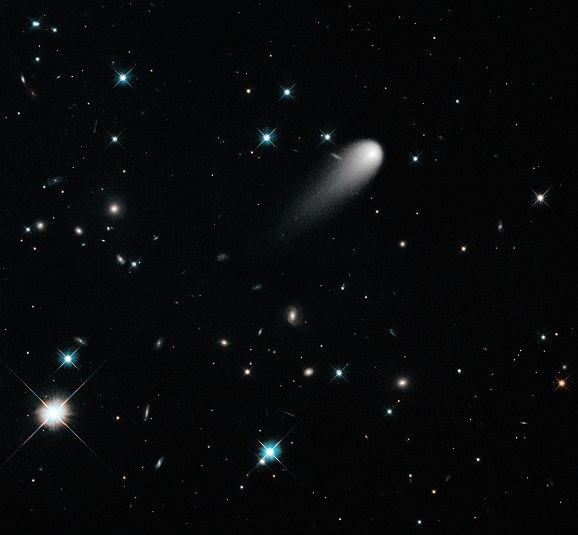 While astronomers use Hubble to track ISON, this doesn’t allow for the smaller specks of starlight in the background to show up at all. So while it’s cool to have a photo of just ISON doing its thing, it’s so much more fantastic to see it set against the magnificence of space. It almost has to fight for our attention. One of the most fascinating and humbling aspects of space exploration is that almost everything is billions of years older than the discovery. (Just once, I’d like to see someone find an advertisement for the iPhone 7 plastered all over an alien planet.) Every once in a while, though, astronomers don’t even realize what they’re looking at, and what should have been an old discovery takes a while to be found. 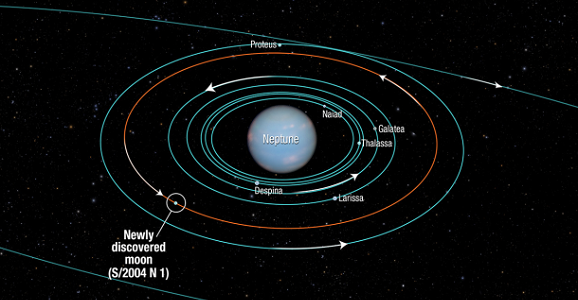 The SETI Institute’s Mark Showalter was studying images of Neptune’s rings taken back in 2009 by the Hubble Space Telescope. On July 1, he started looking along the outer edges of the rings when he noticed a white dot that neither he nor anybody else had identified before. And a new Neptunian moon was born, so to speak. It’s now called S/2004 N 1, just in case you were thinking of writing a song about it. Remember how amazing the idea of space travel was when you were a kid? Don’t get me wrong, it still totally boggles my mind how cool it is, but somewhere along the line we grew up, and some of the magic wore off. It’s bizarre to think that could ever happen, but it did. I am totally stoked, however, to see that the sense of awe and wonder regarding outerspace isn’t entirely lost on younger generations. A seven-year-old boy recently wrote to NASA asking about breaking the bonds of our atmosphere, and much to his surprise, they wrote back. 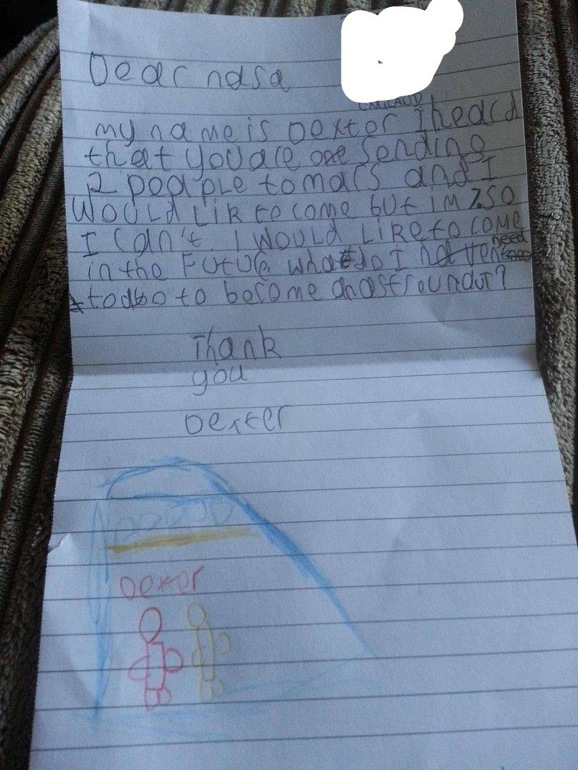 A young boy named Dexter sent a letter to everyone’s favorite space agency, lamenting the fact that he is only seven, and far too young to go into space right now. He then asks for some helpful tips about how he could become an astronaut in the future. At the bottom of the page, he also includes a small drawing, presumably of him and a fellow space traveler, floating safely inside of a space capsule. 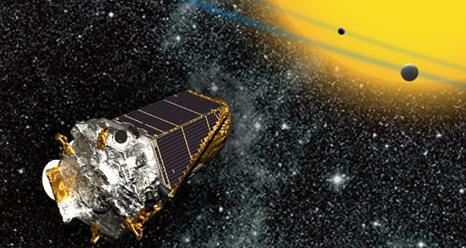 Kepler, we just can’t quit you. 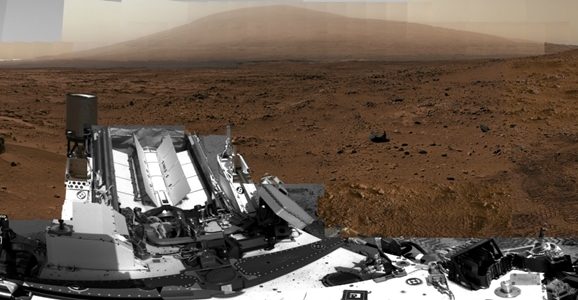 During bouts of insomnia, cruising the NASA website for news and photos of your discoveries is kind of like dreaming. And if/when we need to move the human race (or whatever we become) elsewhere, we’ll be relying on you. So back in May it was devastating to hear of Kepler’s health problems, especially after NASA extended its mission to 2016. One of its reaction wheels, also known as a gyroscope, broke down. Why does a space telescope need wheels, you might ask? Because it has to be pointed very precisely in order to capture images, and the reaction wheels keep it aligned. Kepler, which searches for habitable planets out there in the big ol’ universe, requires three of these wheels. Last July, a different wheel malfunctioned, so NASA used the spare then (they had four wheels in all). After imagining what it’s like to change a spare wheel on a space telescope, I don’t think I’ll complain again about changing a spare tire on my car. Now that Kepler’s lost another wheel, the telescope can’t point steadily enough to take usable images. Whenever the American space program is featured in film, it’s usually in the context of a huge shuttle launch or someone having a problem while they’re already stuck in space. (“Houston, we’s in trouble!”) A few months ago we reported on Man Men writers creating a series set around Cape Canaveral during the 1960s space program, and while that seemed like a nice departure from the norm, it really just sounded like any other primetime drama, only with people using words like “thrusters” more often. What’s sadly absent are projects that focus on the beginning of the space race, focusing on the geniuses who made it possible for men like Neil Armstrong and Buzz Aldrin to become national heroes. 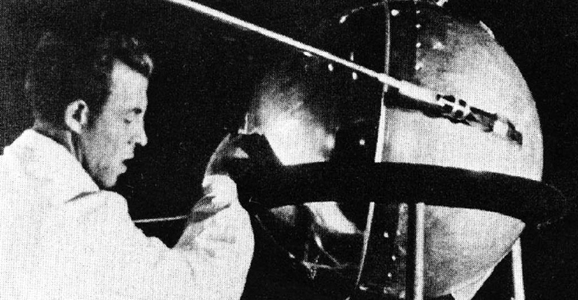 Matthew Brzezinski’s 2008 book Red Moon Rising: Sputnik and the Hidden Rivalries that Ignited the Space Age lays out the high-stakes competition between the U.S. and the U.S.S.R. in the earlier days of the space race, presenting a fast-paced view of a sliceide of history that doesn’t always find a spotlight. Primeridian Entertainment has optioned the book’s rights for adaptation and has tapped screenwriter Nicholas Meyer to write a pilot and full treatment for an as-yet-untitled TV series.